The essential ingredient for mold growth is moisture. We all have sniffed that telltale damp smell of mold and mildew after forgetting a load of clothes in the washer. Home mold problems are best prevented by finding the potential sources of water leaks and residual moisture that may lead to mold growth. Although mold often sets in deep and feeds on building materials, mold will cling to any dusty surface, damp carpet, or cloth material to establish a base of operations. The mold spores come in a variety of colors and spread easily. The spores incubate and become active in a moist environment whenever there is enough host material to feed upon. The basement may account for as much as 40% of the moisture in your home. It is important to keep the levels of humidity low in the basement. This may include ventilation to air out a laundry room and fixing even the smallest pipe leaks. Keeping a dehumidifier running in the basement is always a safe bet for battling home mold problems. The next step is identifying whether you have a water drainage issue. Many homes suffer from water drainage issues that may be corrected with the installation of permeable paving, gutter systems, or other underground water barriers. The rooftop gutters may also be contributing to a water run-off problem if they are not cleaned or installed correctly to efficiently divert the water away from your home. No matter how effectively you address the external water drainage issues, basements have a tendency to absorb some ground-depth moisture from the earth. Installing mold-resistant drywall, sheetrock, gypsum, and paints in your basement are some great ways to reduce the chances of mold growth. Install a digital hygrometer (humidity meter) in your basement to retain records of how weather and water seepage may be affecting that space. The humidity inside your home, including your basement, should be no more than 30%-60% year round. The bathroom is another place where mold is often discovered. Inspect your bathroom for plumbing leaks, cracks in the tiles and caulking, and any perforations in the building materials that may encourage the humid environments mold requires. Black mildew is essentially an early stage of mold growth that plagues many showers. It makes sense to install water-resistant drywall and mold-resistant woods in this important area of the home. In order to retain a low-humidity environment, use a ventilation fan and open a window when you shower. Proper cleaning and draining of water will reduce the tendency for mold growth in the shower and tub. Check the backsides of carpets to ensure that they are not harboring mold. This is especially important if it is a carpet exposed to a lot of moisture. A tell-tale sign of carpet mold is that funky or musty smell. Sometimes, something as simple as baking soda and a vacuum can help freshen up a carpet to eliminate the guesswork. 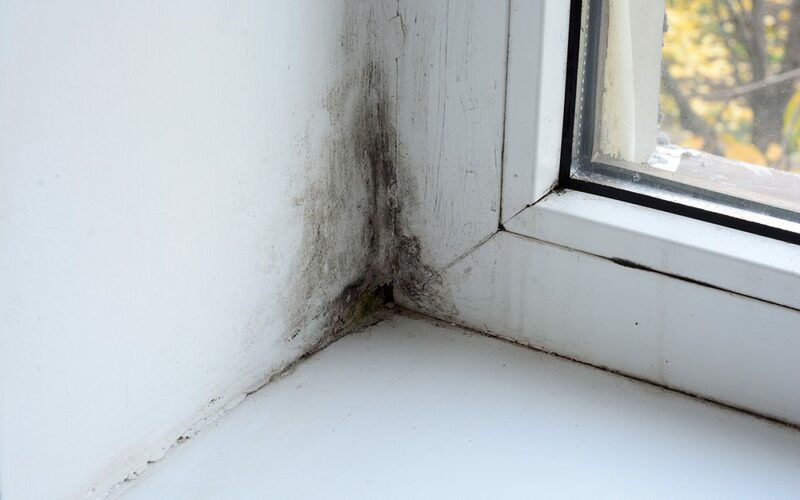 If your windows aren’t draining properly, this will be a source for home mold problems. You need to make sure the drains are open and unobstructed and that the windows are not seeping water down into the walls of your home. If water seeps into your home through any vulnerable areas, you have the right condition for mold growth. For this reason, the tiniest crack in an external window molding can accumulate large volumes of water in the window frame and surrounding materials. Identifying areas of water intrusion in your home is the first step to preventing home mold problems. Assure Home Inspection provides mold inspections and mold mitigation for homes and commercial properties in Chicagoland and Chicago’s South and West Suburbs. Contact us to schedule our services for home mold problems, or any of our other inspection or testing services.